"There are fetching melodies and rhythmic wrinkles characteristic of Hiatt's best work." "At its core, The Eclipse Sessions shows that Hiatt remains a songwriter worth listening to: He’s a skillful lyricist with a singular voice." "Hiatt says that his latest, The Eclipse Sessions, is connected to that album (Bring The Family) as well as to 2000's Crossing Muddy Waters, due to the fact that he didn't know where he was headed when he started them. But his lack of direction is a blessing to the rest of us, culminating in a project that sounds as good as anything he's done in years." "Listen to Hiatt’s road-weary voice, his sturdy guitar, and the stripped-down accompaniment; it seems he’s got plenty left. This is as expressive as he’s ever sounded." "On these 11 originals, once again Hiatt proves he's still got plenty of reason to live, and plenty left to share with the rest of us as well." 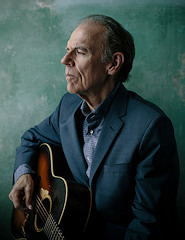 John Hiatt on New Album "The Eclipse Sessions": "I’m in Different Territory"
"You're the last one to notice if you're growing or changing, for better or for worse," says John Hiatt, speaking with Rolling Stone Country during a break from a recording session. "It's usually the people around you that it's more obvious to, if you catch my drift." He's speaking about the evolution of his career, which began in earnest with the release of his debut album Hangin' Around the Observatory in 1974, but he's also alluding to his own life, which, as he puts it, has "changed on a lot of different levels" over the last few years, a phenomenon that came into particularly sharp contrast while Hiatt worked on what would become his 23rd studio album. 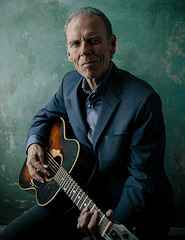 On October 12th, John Hiatt will release The Eclipse Sessions, an LP of new material due out via New West Records, with whom Hiatt has been working since 2003. The album is his first in four years, following 2014's critically acclaimed Terms of My Surrender, which earned Hiatt two Grammy nominations. "I'd kind of been in a groove of putting out an album every year to 18 months, all through the 2000s," he says. "After 2014, after that record came out, it just kind of all slowed down. I stopped touring quite as much. Things just started changing." That sense of change is reflected in the album's title. Recorded over four days in the summer of 2017 that included the August 21st solar eclipse, the album marks both a period of personal metamorphosis for Hiatt and, in many ways, a musical return to form. Stripping his rootsy sound down to bare bones, Hiatt recorded the album as part of a trio of guitar, bass (Patrick O'Hearn), and drums (Kenneth Blevins). "I wasn't sure what kind of recording I wanted to do, to be honest with you," he says. "I was thinking about doing a solo record, just me and acoustic guitar. So I didn't really have a plan, in other words." The trio set up shop at friend and fellow musician Kevin McKendree's home studio on his farm outside of town. McKendree added the occasional organ part to tracks, while his 15-year-old son, Yates McKendree, played additional guitar and engineered the LP. "Yates was our secret ingredient," Hiatt says. The group recorded "around 15 songs" over the course of six days, 11 of which would make the final cut. "I didn't know if we were making a record or just documenting some music," Hiatt says. "I never really pay much attention to what it's about other than just the moment, you know, the fact that we're making music and it sounds good. So at that point it started taking shape and we were happy with it and went on with it." Opening the album is "Cry to Me," which Hiatt describes as being inspired by "every heartbroke, bedraggled gal [he's] ever known." A warm slice of roots rock, the track encapsulates the best of Hiatt's talents: his ear for an uncluttered arrangement, his sturdy guitar playing, and his soulful, rough-hewn voice, which has only grown better with time. "I'll be 66 in a couple weeks — dealing with being someone I've never been before." "I remember I started writing it while I was doing one of those music cruises," he says of the track. "It just came to me sitting around singing in the room when I didn't have anything else to do. It just hit me as the best kind of pledge I can make: I'm going to screw up, but I'm not going to hold you back. And then it was just making up the feel of the verses, with people I've known who have come from tough circumstances and tried to learn how to love and be loved in spite of it." While heartbreak certainly isn't new territory for Hiatt, how he approaches the topic — and others throughout the album — may well be the result of what isn't necessarily a new outlook on life so much as it is a broadening of his perspective of himself and those around him. Hiatt will hit the road in support of The Eclipse Sessions in the coming months, but is still working out how he'll arrange his live band for the tour, though he hopes to incorporate some of the trio vibe from the album — a record that finds him at a unique stage of his life. "I felt like I was in some sort of different territory, just as a human. I'll be 66 in a couple weeks. Dealing with being someone I've never been before, in terms of age, kids getting older, things changing," he says. "People in my life are gone. You reach the age where your friends start dying. So [this album] has a lot to do with those sorts of things, just being in a different place."